A handful of windows in your Cleveland home may not be exact rectangles. When your window is an odd shape, it can be a struggle to find a window treatment that works. That’s no longer true thanks to our custom-shaped shutters in Cleveland! Our shutters specialists design and manufacture your plantation shutters in Cleveland to perfectly fit your specialty-shaped windows. We’ll come to your house and measure the diameter of a circle window. And we’ll measure the size of a French door. We’ll draw all the details on the angles of a triangle window. And we’ll be mindful of every shutter louver so that it seamlessly lines up with your window. All this care allows the shutters to seal off light and temperature while letting you have complete control of the shutters. When it comes to your bay window or sliding door, we construct and install indoor shutters that let you adjust temperature and light. Now, you can effortlessly open the shutters to look out into the outdoors – or maintain your privacy with the shutters closed. 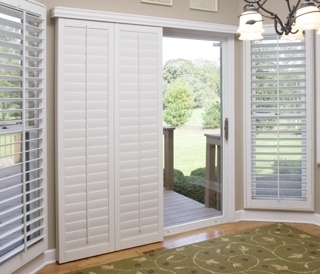 We can also install shutters that just cover the lower half of your window. They’re known as café style shutters in Cleveland. This unique shutter type is a chic alternative if you desire indirect sunlight to brighten up the room and reduce the light for whoever is who are right by the window. 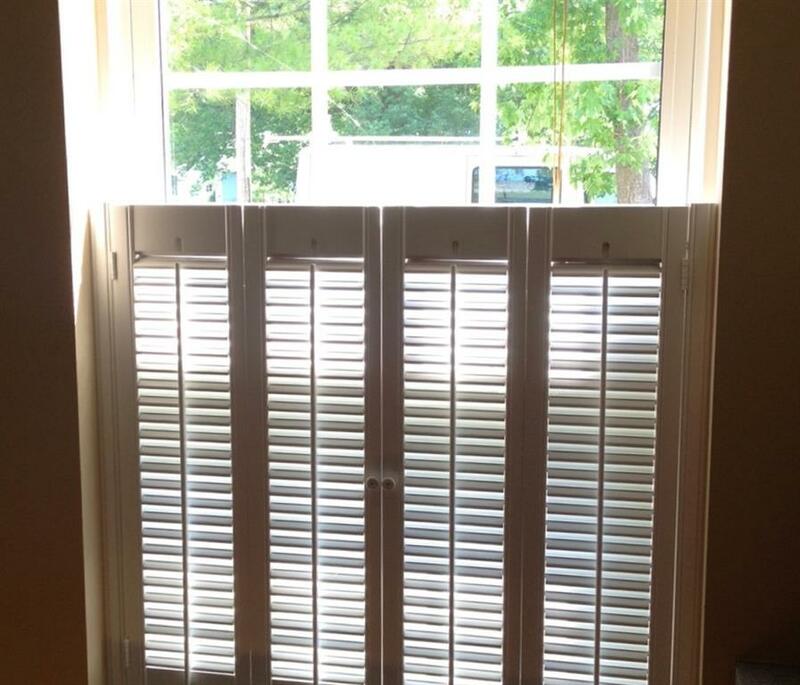 For every oddly shaped window, we make custom-shape shutters. These shutters aren’t simply any custom-shape shutters. We provide the kind of shutters that perfectly fit to enhance the exquisite window shape you adore. 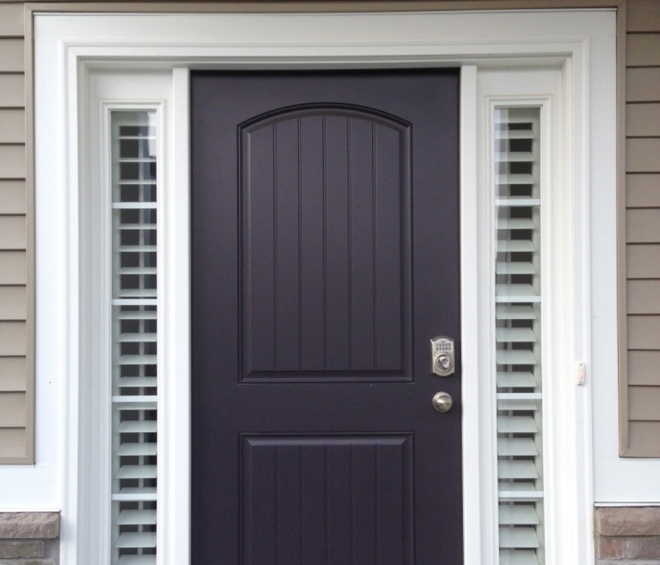 Learn about the custom-shaped shutters we sell in Cleveland, Ohio.